The pope is dead. A conclave to select his replacement is about to begin. Cardinals are beginning to arrive at the Vatican, but one has fled Rome for Malta in search of a document that dates back to the 4th century and Constantine the Great. Former Justice Department operative, Cotton Malone, is at Lake Como, Italy, on the trail of legendary letters between Winston Churchill and Benito Mussolini that disappeared in 1945 and could re-write history. 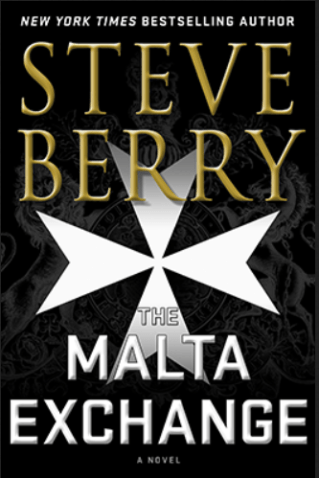 But someone else seems to be after the same letters and, when Malone obtains then loses them, he’s plunged into a hunt that draws the attention of the legendary Knights of Malta.